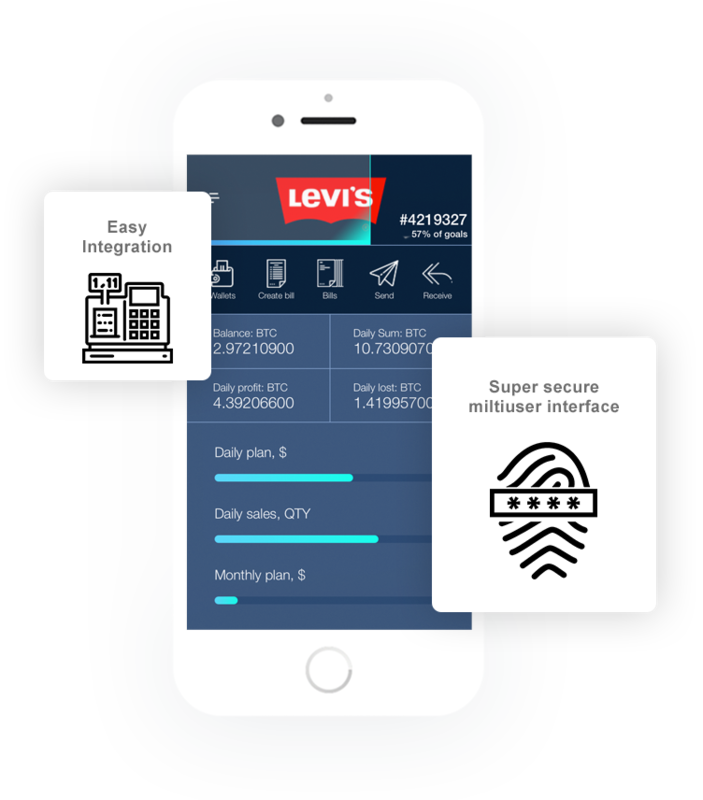 Works with all devices, with all users anywhere in the world. 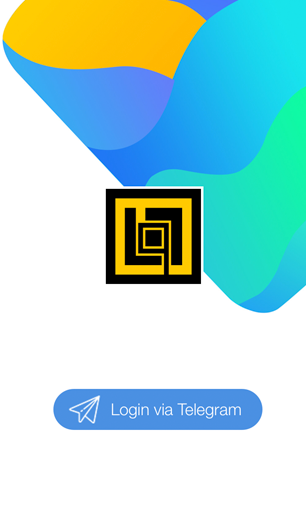 All you need to be a Telegram user. Bitcoin has never been faster. the site and in the POS. Sales management - nothing is easier. Boost up your business in just one click! 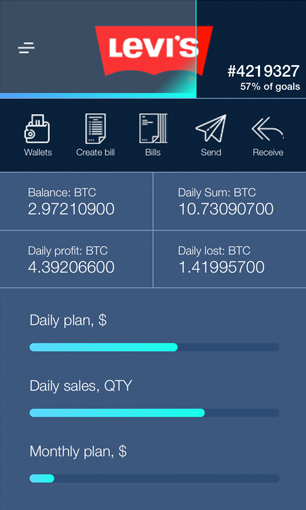 Start taking Bitcoin for payment in the simplest way, with no additional fees and charges. 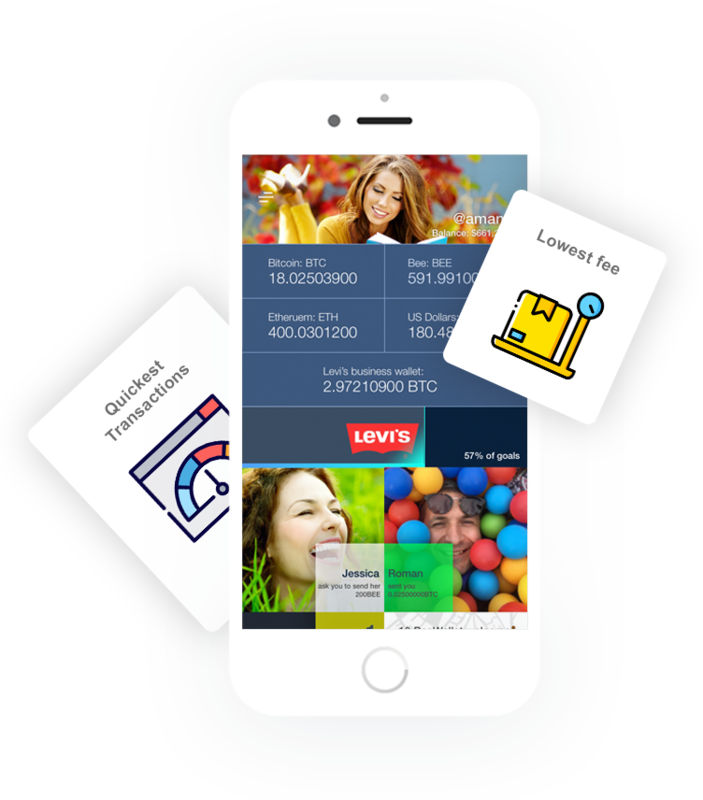 Simple integration with the site, CRM and cashier. 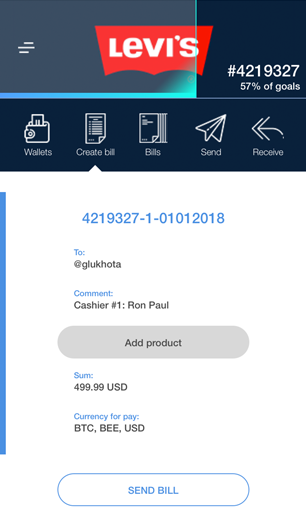 Create bills with the choice of the main currency of payment. 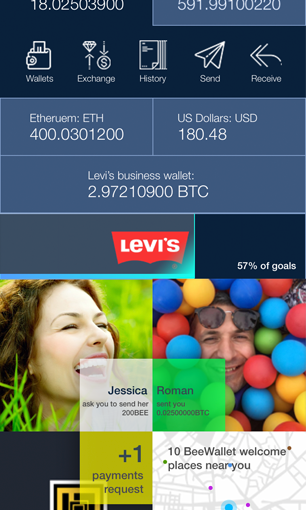 Add trusted employees who can pay bills. 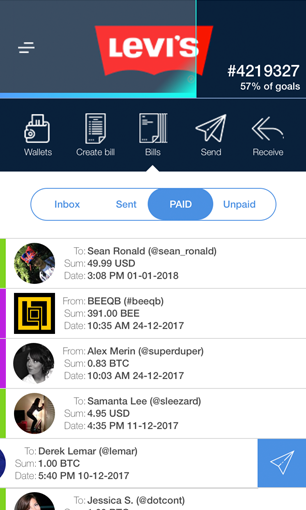 BeeWallet is more than a wallet. This is a whole world in which you will feel comfortable, safe and anonymous. 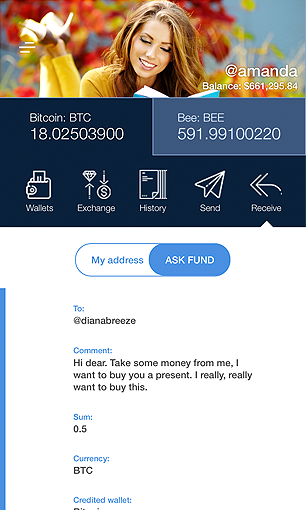 BeeWallet is a dream that has become a reality for every fan of crypto currency and an indispensable tool for a crypto-businessman. 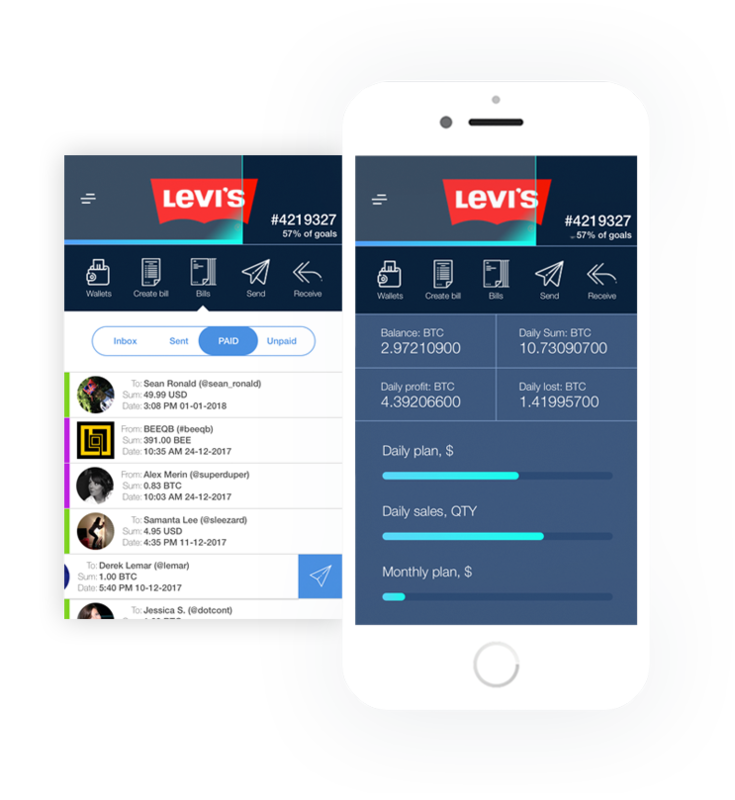 We based a completely new reality, which will create the basis for crypto-currency payments to become the vanguard of business around the world.  Minimal interface without ads and stupid buttons. All funds are available immediately after sending. 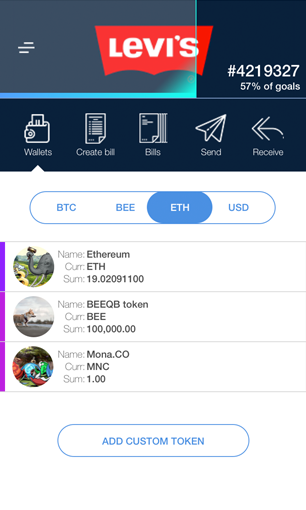 The BeeWallet's business friends explorer. Buy more. The highest level of security confirmed by hackers. I get a notification about a new transaction in a second after sending. Have you heard that slow bitcoin? 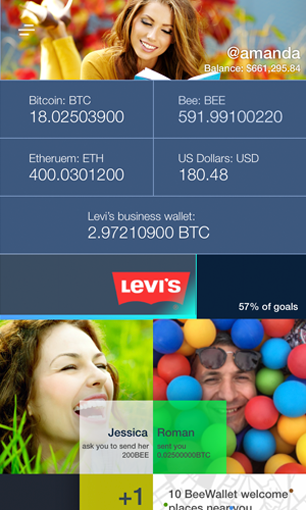 With BeeWallet it is faster than Flash. 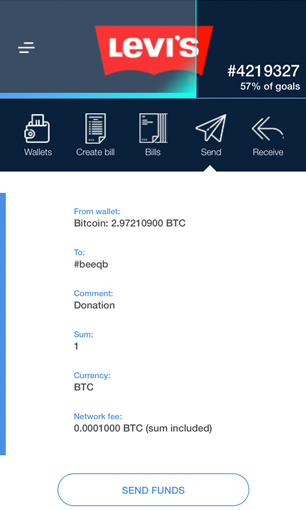 I think BeeWallet is the best bitcoin wallet of all that I used. The team - you done well! I love chating. And the fact that I do not need to launch another app to check my balance or send money is very cool. I used it! Is very simple to use, no difficulty at all. your need with reasonable price. At ten the door opened.